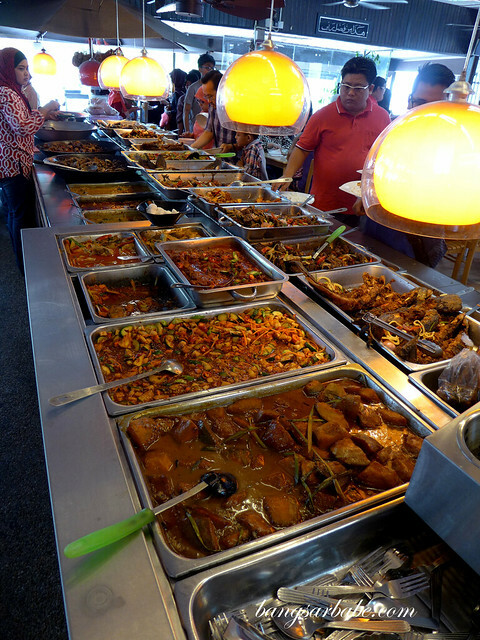 I’m a big fan of Malay nasi campur especially the ones from the east coast, namely Kelantan. The dishes are heavily influenced by Thai cuisine, with emphasis on sugar and coconut milk – expect the curries to taste richer, sweeter and creamier. 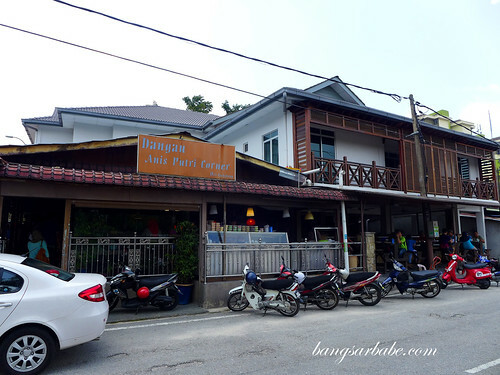 My regular fix is at Restoran Jaring but a friend told me about Anis Puteri in Pantai Dalam, that serves even a much larger spread of Kelantan delights. 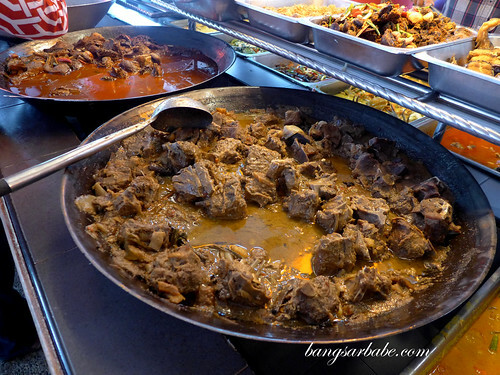 I dined in a group of five so things were fairly systematic – one went to the gulai section, one to the grilled fish, one to the fried section and one to the ulams and kerabu. The remaining one was to find a table and order drinks for gang. 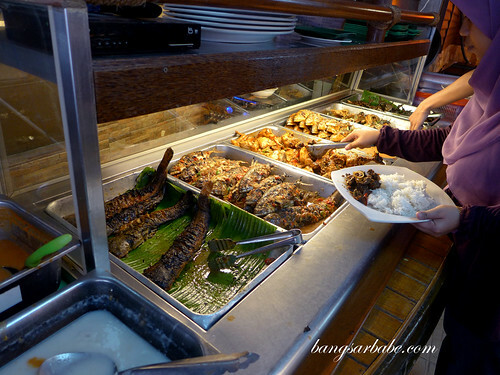 Then we came back with the lauk pauk (dishes) and white rice before digging into the ‘loot’. Who knew lunch involved such a strategy! 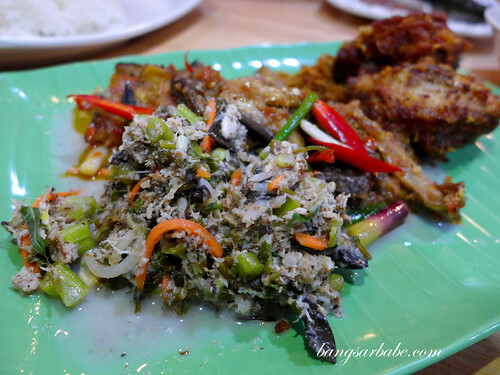 They do a mean Kerabu Ikan Tongkol here; crisp and robust in flavours, and very addictive. By the time I went back for seconds, there was none left. 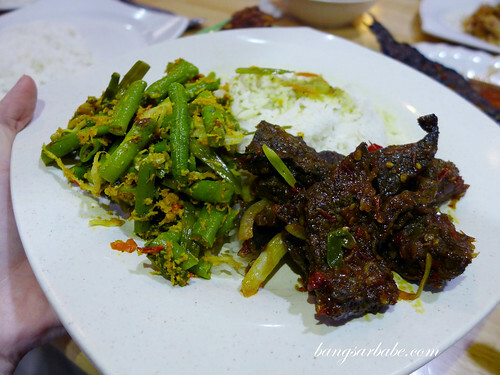 Sambal Terung was also pretty good stuff, as they cook the eggplant pieces till soft (not mushy) and add them into the sambal mixture of pounded chilli, onions and belacan. 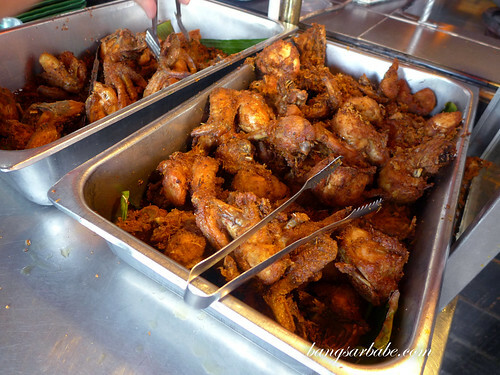 The fried chicken comes in two varieties – regular or kampong. Most of the folks went for the regular so I followed suit, adding more fried flour bits to amp to the crunch factor. 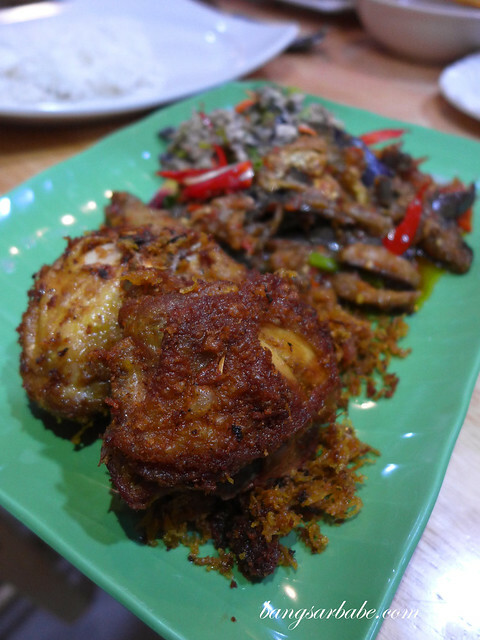 Nothing mind-blowing but definitely one of the better Malay-style fried chickens around. 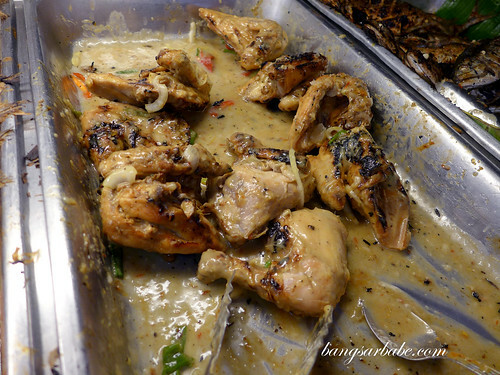 Ayam Percik Putih was a tad underwhelming compared to the one from Restoran Jaring. The sauce was too gluey, when it should be creamy from the coconut milk. Too much flour, I reckon. 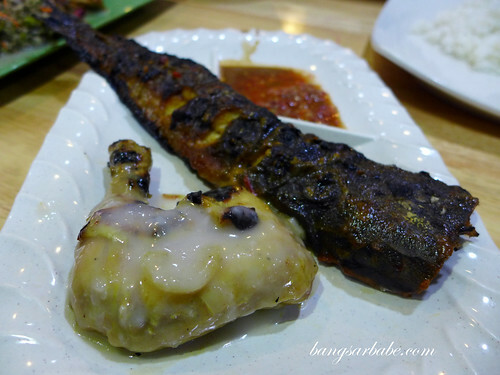 Ikan Keli Bakar was better but they didn’t season the fish thoroughly, resulting in some parts being too salty. I was more fortunate to have enjoyed the nicer part of the fish – the others weren’t as lucky. 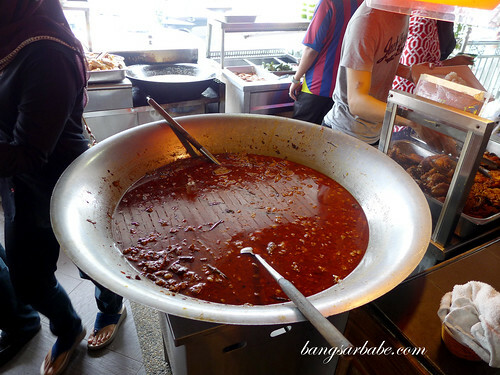 Better was the Gulai Kawah, cooked in a wok large enough to fit me. 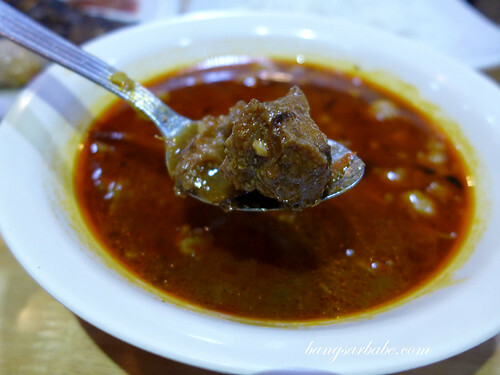 The beef was cooked till reasonably tender and the gravy was sweet and mildly spicy – tasty with white rice. rif went one up, and mixed a bowl of assorted curries from the spread. The end result was delicious. 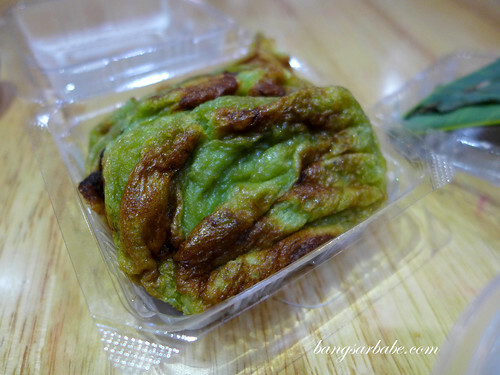 Kuih seri mandi. The green one behind is also good. Desserts are worth trying here, especially the eggy and soft kuih bakar. 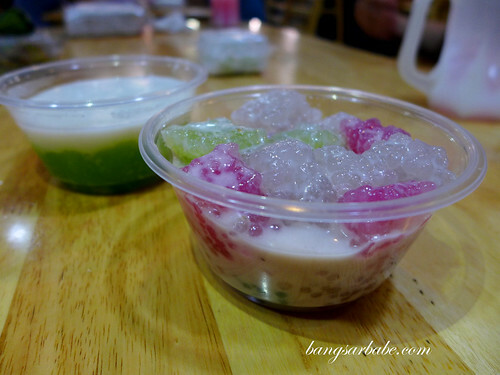 The kuih seri mandi (the colourful one) was not bad but some parts of the sago were chewy. 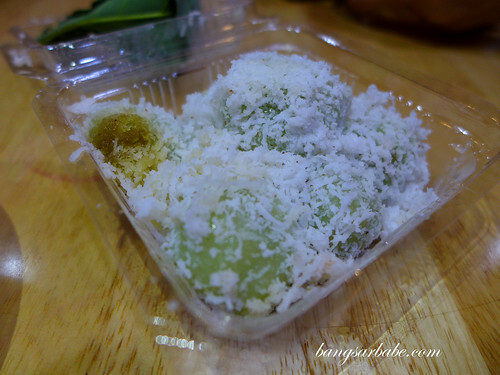 Skip the onde onde, unless you fancy biting into hardened pieces of brown sugar at the centre. Lunch came up to about RM57 for the above, with rice and drinks. Pretty reasonable considering the amount we took. As it gets pretty chaotic during peak hours, you will need to be a little more patient with the staff. 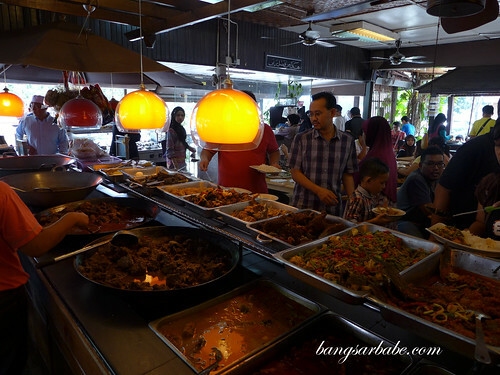 Verdict: Go for the kerabu ikan tongkol, fried chicken and gulai kawah.